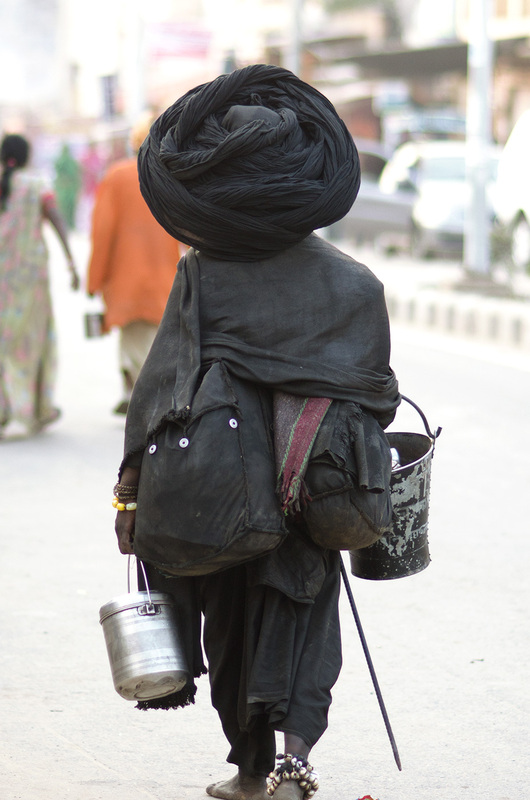 Sadhu in all black and big turban. Biggest I’ve ever seen. This entry was posted on March 12, 2015 at 14:28 and is filed under India. You can follow any responses to this entry through the RSS 2.0 feed. You can leave a response, or trackback from your own site. Haha definitely the biggest! That’s quite a silhouette.. Did you get a front view too?